Then why do we have so many different Christian denominations when we supposedly all worship the same Christ? This is because Satan wants to divide and conquer, Jesus said a kingdom divided among itself will not stand (Matthew 12:25) So when we separate ourselves from each other were doing the work of Satan and not God. Jesus taught us to Love our neighbor as yourself, (Mark 12:31) he didn’t say to just love yourself or your family. Jesus also taught to even love your enemy (Matthew 5:44), so why is there so much separation between the Church and the rest of the world? This entry was posted in Advent, Bible, Blog, Christ, Christianity, Devotional, God, Jesus, Religion on June 30, 2016 by Unashamed of Jesus. 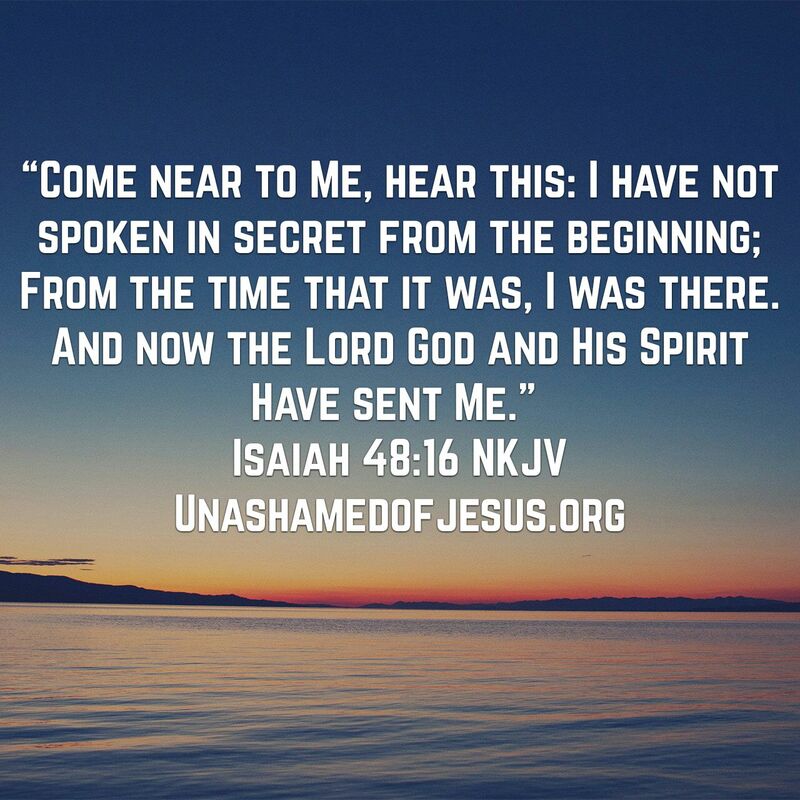 This entry was posted in Jesus on June 29, 2016 by Unashamed of Jesus. 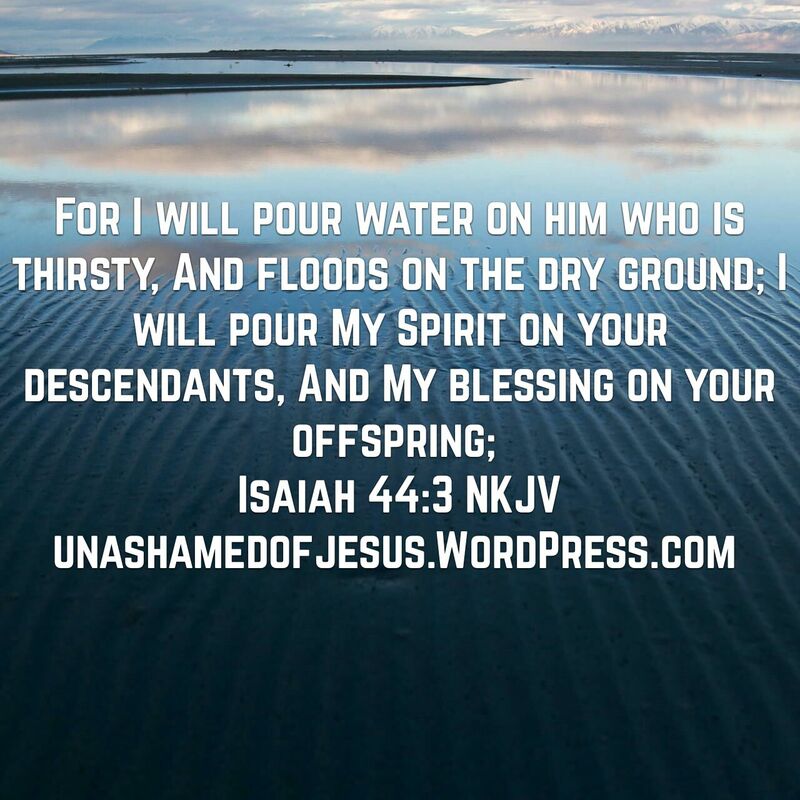 This scripture holds dear to my heart as me and my wife have used it in the past during our marriage. There is an important message to be delivered here, don’t let your disputes go unsettled. When we separate from each other angry, this allows room for Satan to move in and do his work. As Jesus said a house divided will not stand, this same principle applies to our marriages. Any division allows opportunities for Satan to move in. As a family you must stay united together, even when its hard. We must learn from our mistakes and turn it into a positive. We must learn from the things we were doing wrong and make them a lesson. Sometimes when you go through a difficult situation, it makes your marriage stronger and wiser. Are you living for the world or living for God? Seems like a simple question but its important to know the difference. The definition of Woe means great sorrow, misery, or distress. So when Jesus says “Woe to the world” he’s saying the world is condemned because of its sins. 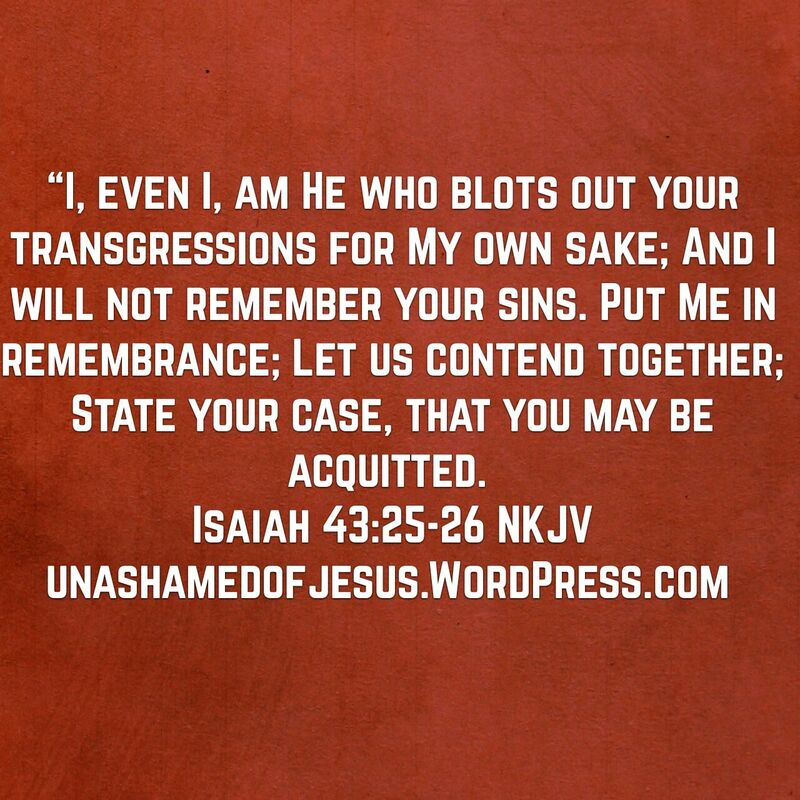 “I, even I, am He who blots out your transgressions for My own sake; And I will not remember your sins. Put Me in remembrance; Let us contend together; State your case, that you may be acquitted. 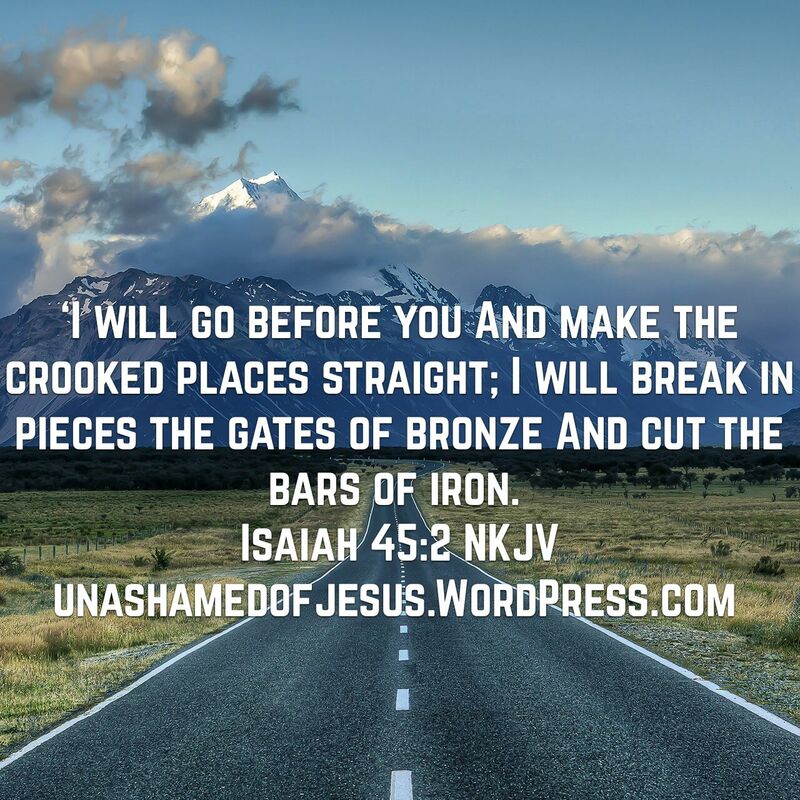 This entry was posted in Jesus on June 23, 2016 by Unashamed of Jesus.